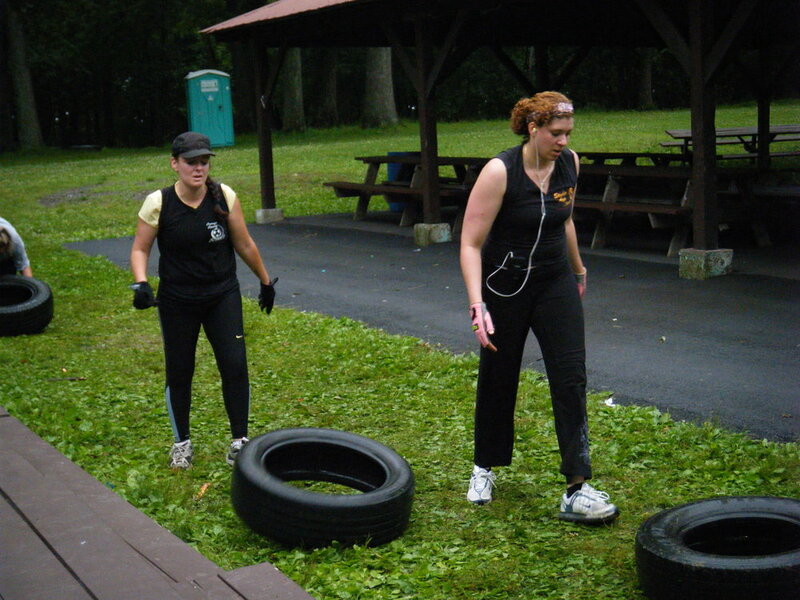 Ayo Fitness Bootcamp is a group physical training program conducted both indoors and outdoors (dependent upon the season) where personal trainers challenge you to build strength and fitness through a variety of intense fitness activities which span cardio, weight-lifting and obstacle race training. What are the requirements for Bootcamp? You are required to show up and give every workout 100%! You are not allowed to give up. There are 1 - 2 bootcamp approved classes daily. You are required to make a minimum of 5 classes a week. How long does Bootcamp last? Bootcamp lasts 8 weeks. There are 4 bootcamps per year. Winter, Spring, Summer and Fall. What can I expect to achieve in Bootcamp? There is a body assessment and interview at the beginning of the program where you discuss the goals you want to achieve. Achieving those goals is purely dependent on YOU! It is a must to eat healthy, drink water, train hard and get enough sleep. Vanessa Sotelo has been in ayo fitness bootcamp program for 1.5 years. She has also PARTICIPATED in ayo fitness warrior camp & the hercules fitness challenge. She's a quiet storm ... quiet but powerful. Vanessa is a TESTAMENT to what hard work and dedication can achieve! We are proud of you Vanessa! Avionne Philyaw has been apart of ayo fitness bootcamp for 1.5 years. She has participated in summer meltdown and the hercules fitness challenge. Avionne believes "if you want it badly enough, you will do what is necessary." Never one to give up, we've seen her flourish. We are proud of you Avionne! ** Gym member's account fees are frozen when bootcamp is in session.